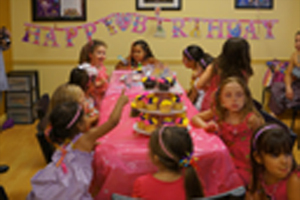 Birthday party package for up to 20 children is $300. 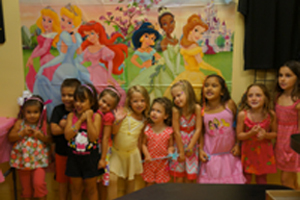 There is a charge of $10 for each child over 20 with a maximum of 30 children. 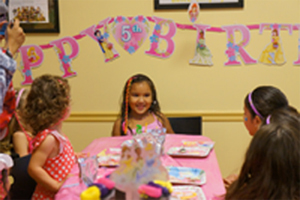 We require a $50 non-refundable deposit to reserve your party date. 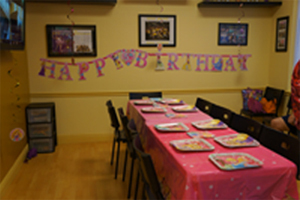 Don't forget to bring a birthday cake with server and candles, tablecloths, paper plates, plastic utensils, napkins, and cups. Please drop off decorations before your party date! Please click here to print the Party Registration Form!